Libbie, "These men are just a few of the very creative and stylish men who thread through my life. All with a special talent for words or design or art and all have a certain flair about them when it comes to style." 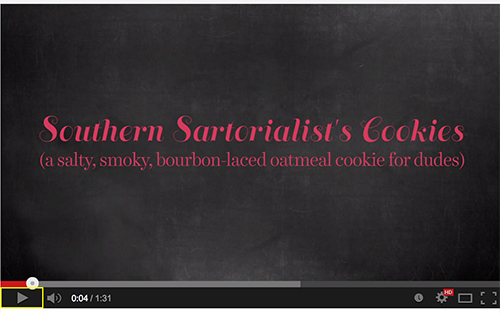 This is an oatmeal cookie that's more smoky and salty rather than sweet. Libbie, "The bourbon adds that little oaky flavor that drives it all home and makes it very special." She recommends a glass of bourbon or milk to complement this tasty, manly treat.